It's ski season! And ski buffs all over America - and all over the world - are busy getting their equipment together, waxing their skis, and looking at their calendars. And they're also checking out the best places at which to pursue their schussing passions. Well, to me, the best places for skiing are not only for skiing. I look for places that also offer a warm, convivial ambience; great hospitality; interesting local cultures; and plenty of natural beauty. And these five offer a lot of each...here's my countdown! Sugarbush has long been one of New England's best ski resorts. Wausau, Wisconsin becomes a Winter Wonderland this time of year. 4) RIB MOUNTAIN STATE PARK, WAUSAU, WISCONSIN - Skiing in Wisconsin??? Yes! 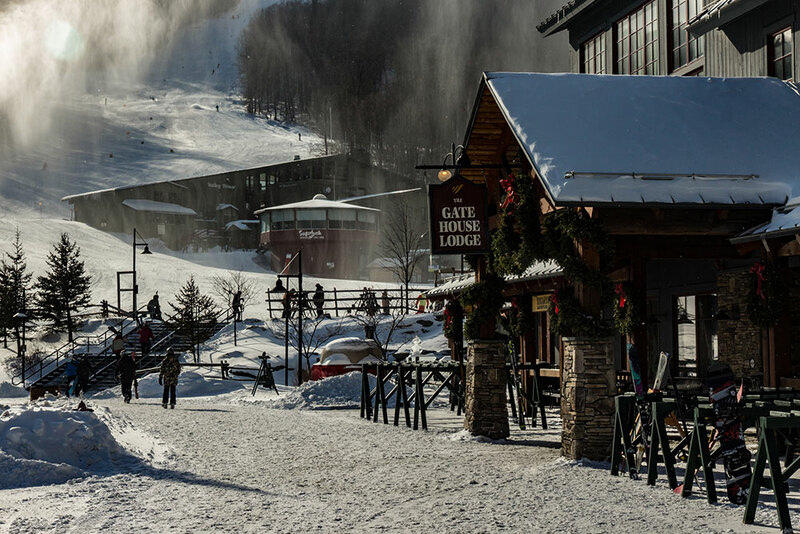 Skiers have been flocking to Rib Mountain State Park for years, and it's fast becoming one of the premiere ski facilities in the Midwest. With the highest vertical in Wisconsin at 624 feet, Rib Mountain runs range from the leisurely to the heart-stopping, and instructors are on-site. A total of 13 runs, one of them over a mile long, offer skiers a variety of choices. This part of the country offers an interesting alternative to some of the better-known skiing regions. The town of Wausau is surrounded by woods, lakes and hills, and offers the amenities of a big town but the charm of a Northwoods village. One of the best places to stay is the Jefferson Street Inn, a luxurious boutique hotel in which most rooms have fireplaces and sitting areas. The region boasts four seasons of outdoor recreation, a thriving arts community, interesting festivals and events, diverse shopping and dining, and a calendar filled with special events. Canaan Valley Resort has a lot to do - and a lot to look at. 3) CANAAN VALLEY RESORT, DAVIS, WEST VIRGINIA - DAVIS, W.Va., Nov. 19, 2017 - Canaan Valley Resort is in the highest mountain valley to the east of the Rocky Mountains. 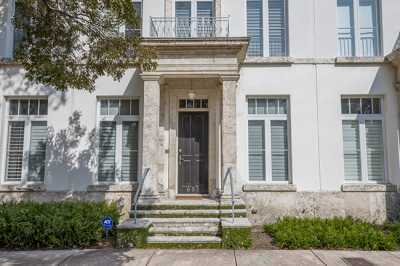 It's won several "Best For" awards (for families, for kids, etc.) for its ski area, and it's not hard to see why. This resort has been blessed with a wintry forecast for the next few months, and they can make their own snow if Mother Nature doesn't cooperate. It's in a region not generally known for skiing...which means you get the great skiing without the big crowds. And it's surrounded by the breathtaking natural beauty of West Virginia's mountains and gorges and forests. 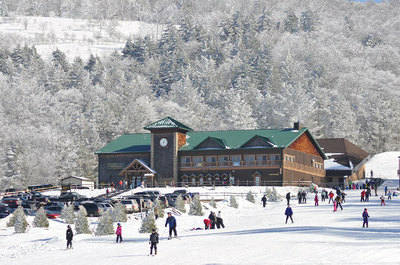 In addition to downhill skiing, the resort offers a tubing park and a skating rink, along with snowshoeing, snowboarding, and cross-country skiing. 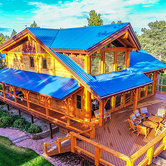 There are 160 new lodge rooms as well as 23 cabins and cottages, 34 campsites, three restaurants, fitness center, indoor and outdoor pools, arcade, and spa, in addition to a ton of recreational opportunities in summer, as well. you can see two countries and three states. 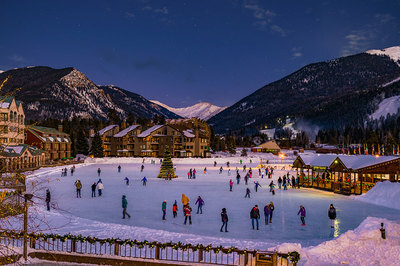 2) SCHWEITZER MOUNTAIN RESORT, SANDPOINT, IDAHO - You start off with a village that the readers of "Rand McNally" named the most beautiful in America a few years ago. 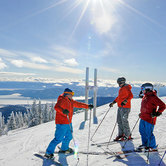 Then you make your way up Schweitzer Mountain to one of the most beautiful resorts - and some of the best skiing - in the West. Once you reach the top of the mountain, though, you may want to take it all in for a few minutes before pushing off down the slope. Because you'll be taking in a 360-degree panorama that includes Washington state, Montana, Idaho, and Canada, as well as the enormous Lake Pend Orielle. Sky House lodge, with two restaurants, affords you the opportunity to linger over that view. 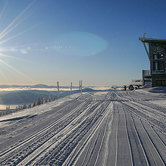 Schweitzer is the largest ski area in Idaho and Washington, with 2900 acres. 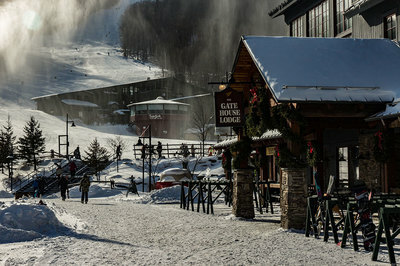 Its ski village is charming, intimate, and filled with interesting restaurants and shops. With 9 lifts and 92 named runs for all ability levels, there's something for everyone at the resort including 32K of cross-country skiing, on-site spa, shopping, dining, lodging accommodations (hotel and condos) and an outdoor pool and hot tubs for lodging guests' use. And the accommodations are rustic luxury. Keystone becomes a kaleidoscope of color in winter. 1) KEYSTONE RESORT, KEYSTONE, COLORADO - It's kind of poetic justice that my highest pick is also at the highest altitude of the top five - 9,280 feet. Keystone is surrounded, of course, by the magnificence of the Rocky Mountains. And the views from anywhere on the resort are breathtaking. 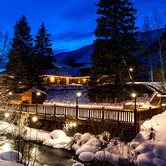 This resort has been known as one of the best skiing spots in America for some time...and it's continually adding new touches, in the restaurants and Old World-style villages, in the accommodations, and on the slopes. There's more than 3,000 acres of skiable terrain here, including three incredible peaks, five above-tree-line bowls, and night skiing. 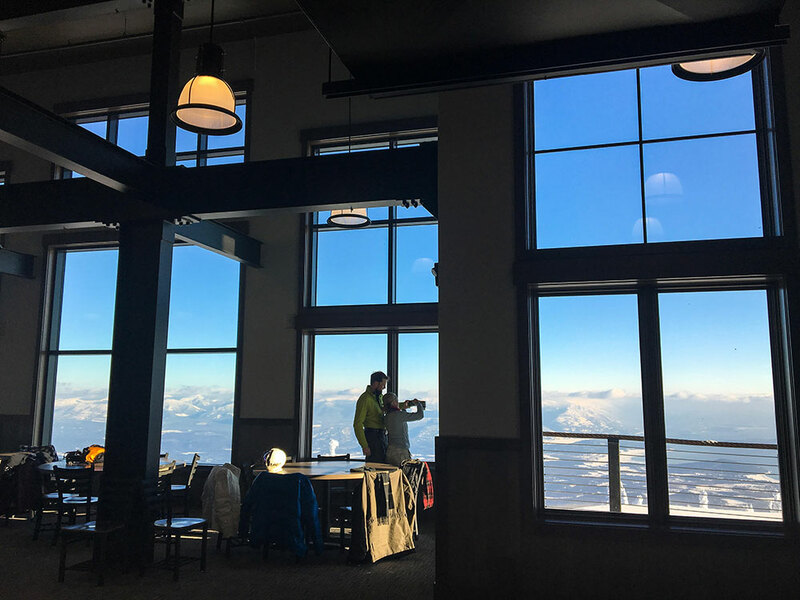 Keystone is renowned for its excellent restaurants, as well, and high atop the North Peak, the Alpenglow Stube provides fine dining at 11,444 feet - the highest AAA Four-Diamond-rated restaurant in North America. 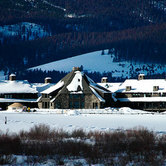 Accommodations at the resort are varied and spread out. 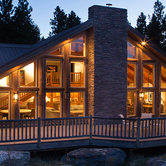 But they all have one thing in common - a combination of wood-and-stone rustic luxury that's hard to find elsewhere. 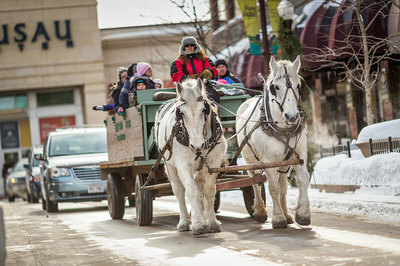 Between the Kids Ski Program and the Kidtopia program, there's plenty for the younger set, too. And convenient touches like free family parking and free red wagons to help parents tote gear, and tired kiddos, to and from the slopes help make a winter family visit a lot easier. The only problem with a visit to Keystone is that you'll run out of time long before you run out of things to do, experience, and eat!